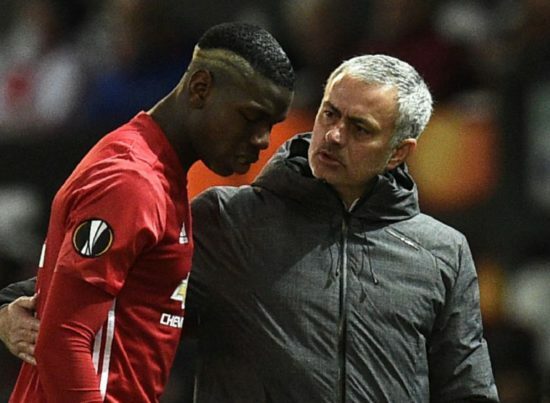 Former PSG manager, Laurent Blanc has made the extraordinary claim that Manchester United midfielder, Paul Pogba is a better player than French footballing legend, Patrick Vieira. The 25-year-old France international has come in for criticism in the last few months for his performances but Blanc, who won the World Cup with Les Blues back in 1998 believes that there is more to come from the player. Pogba is facing a fight to be a regular starter for France at the World Cup after being below par in the recent pre World Cup friendly victory over Italy. National team manager, Didier Deschamps has laid the gauntlet to Pogba to improve his effectiveness on the pitch of play. Blanc, who has been out of work for two years and has been linked to the Chelsea job was quoted as saying: “I think he’s an emerging player. Let’s not forget that he’s still young. So, in my opinion, he’s still got room for improvement. “In my generation we had players who were very physically impressive, like Patrick Vieira for instance, Technically speaking Patrick was good, but he wasn’t as good as Paul is, especially in attacking terms. “If he can exploit both his physical and technical potential, he will score goals. He is so above the others on a physical level that it will make a difference at some point in a game.” He added. Pogba was signed from Juventus for £89m in the summer of 2016 with huge expectations, but he hasn’t been consistent enough to justify his fee. He needs to work on his own abilities to become one of the best players in the world. He has scored 15 goals in 88 appearances in his 2 years back at Old Trafford.